In Pennsylvania, getting an armed security guard’s license means filing a petition with the County Clerk’s office. It is up to the judge as to who is approved for a security guard license. The process is rather detailed. The County Clerk’s office is limited to the questions they can answer about this process and recommends that an attorney be retained for such matters. In Pennsylvania, there are no set rules as to the type of training or experience required. It is ultimately up to the judge. However, the more experience and training that you can prove should help your chances of having your petition approved. Other states require that you show proof of weapons training by submitting your training certificate and if you have this type of proof, you would submit it with your petition so that the judge has updated information to make a decision. For more information, please read Promulgation of Local Rules of Civil Procedure; No. 6513 CV 2005 or call the Pennsylvania County Clerk’s office at 570-517-3387. This information is totally wrong for PA. Under PA laws, armed certification is under ACT 235 and administered wholly by the PA State Police. The local and county courts have nothing to do with this. 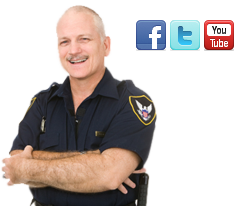 What you have listed is the procedure to become a licensed guard agency or private detective. Carry a firearm on duty is covered by seperate laws.